Some bars are like an old pair of slippers—from the moment that you step into them, you know that you are home. Most certainly this can be said of Maloney’s Pub! 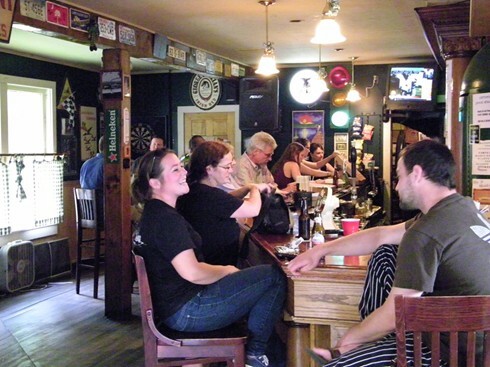 Since the first day of January 2001, this endearing little tavern, located on the south end of Keuka Lake, the jewel of the Finger Lakes, has brought a touch of the Emerald Isle to the friendly and charming village of Hammondsport, New York. 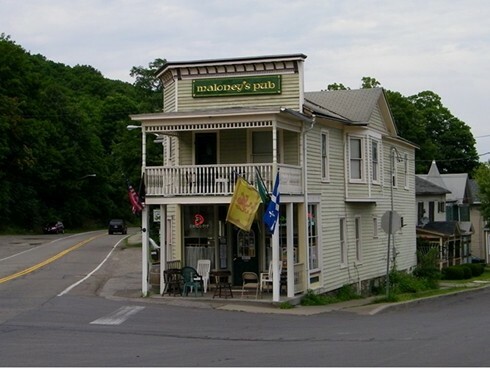 There is a sublime simplicity to Maloney’s. 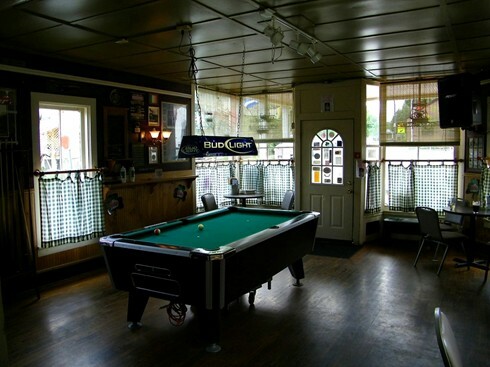 The pub’s floor plan consists of a front parlor with a pool table, and to the rear an inviting cozy room with an elegant old wooden bar. 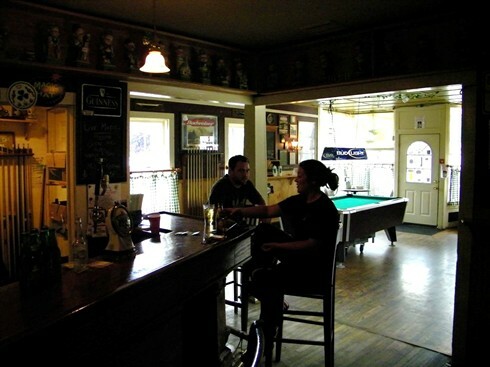 The original structure was built in 1870, and since prohibition four other taverns have occupied the space. Prior to this failed attempt to promote abstinence from alcohol, the building housed a laundry, a photography studio, and a number of private residences. Sitting here one can almost feel the residual energy of the diverse mix of humanity that has dwelt within the walls of this very fine public house. 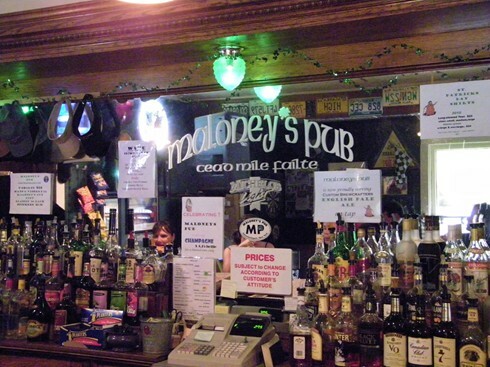 Like most places that can boast of ties to the old country, Maloney’s adorns its walls with the usual wit and wisdom of the Irish, and the tributes to some of those fallen descendants of Erin that have faithfully supported the American cause since our own revolution. 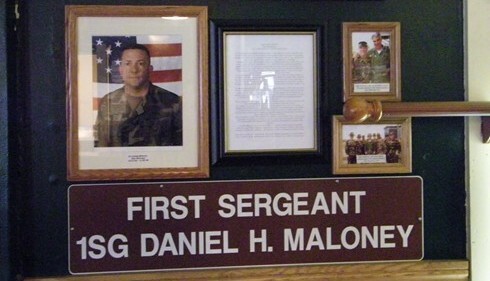 There is of course the iconic image of John and Robert Kennedy, and of a more personal nature, photos and documents honoring First Sergeant Daniel H. Maloney who served multiple tours of duty in the Persian Gulf and who was instrumental in the training of the cast and crew of the film We Were Soldiers. Unfortunately, this gallant gentleman lost his life in a motorcycle accident in March of 2006. In spite of those sad days and setbacks that befall any business venture, Maloney’s has prevailed over the past decade and has gone on to establish itself as a vital social and cultural force in this tight nit community. And to the thousands of visitors who come to the Finger Lakes each year to embrace the regions rich history, to explore its natural beauty, and to partake in the luscious fruits of the vintner’s labor, the pub provides a warm and welcoming break from what can be a rather hectic itinerary along the New York State wine trail. 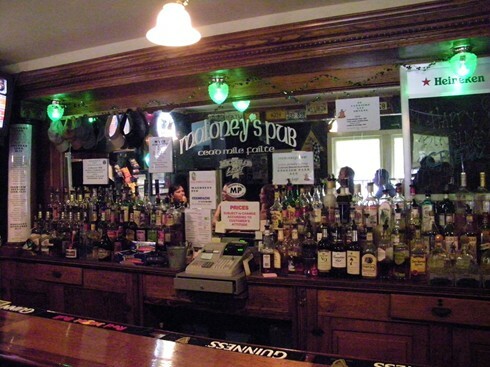 On at least three occasions during the last few years, I’ve interrupted my own travels around the area in favor of a leisurely layover at Maloney’s. Besides the good service, good company and good drink, there was always a wealth of good music. Quite frankly, what more could one want from a great Irish pub—other than perhaps being met at the door with an old pair of slippers?